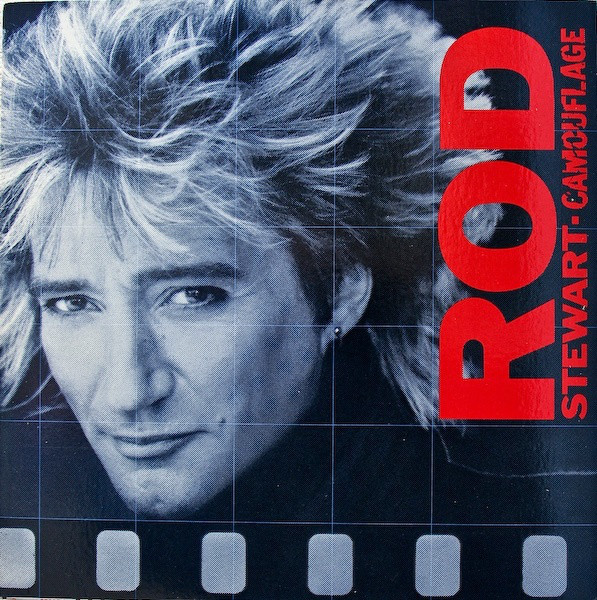 Released in the middle of the barren period that was the mid-eighties for not only Rod Stewart, but many artists. Music was buried under a swathe of synthesisers ad programmed drums. For me, this album, despite the presence of Stewart's old blues mate Jeff Beck to add some searing guitar in places, is a worse one than its patchy predecessor, "Body Wishes". There are only eight tracks on what was, for me, a total lazy indulgence. The opener, the disco-influenced "Infatuation" is just dull, getting nowhere, in spite of Jeff Beck's solo. The next track is also given the full synthesised, keyboard dominated disco treatment. Fair enough, I suppose, until you realise that the track is Free's "All Right Now". Good grief. 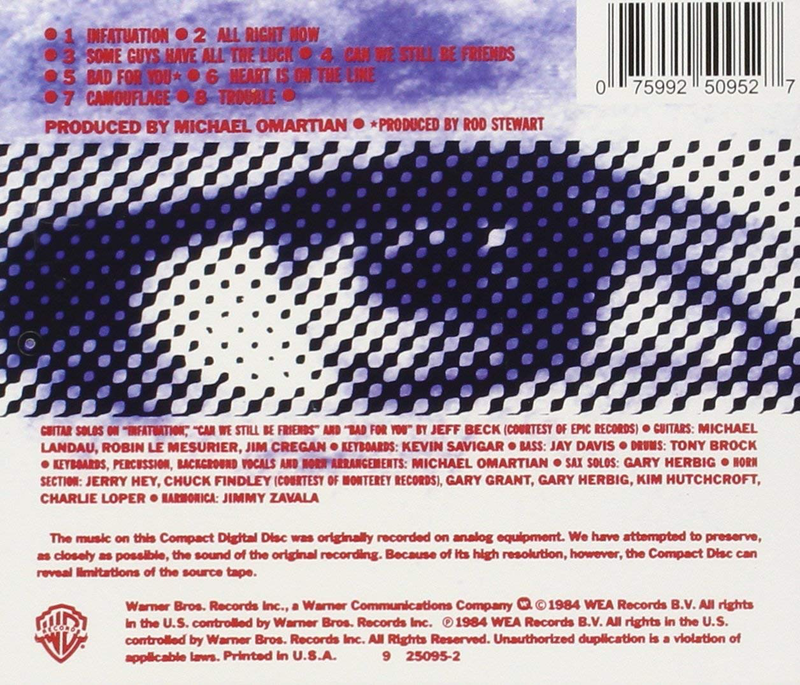 The rendition is a pretty unlistenable travesty. Enough said. Next up is Stewart's endearing cover of Robert Palmer's "Some Guys Have All The Luck" with is the best track on the album by a mile. "Can We Still Be Friends" is a huge slab of extra mature cheese. Lyrically banal and musically even worse, layered with electronic keyboards that strangle any life out of it that it may have had. Even Jeff Beck's appealing guitar parts cannot save it. "Bad For You" is a bit rockier, but still blighted by eighties backing and eminently forgettable. Neither "Heart Is On The Line", "Camouflage" or the maudlin "Trouble" bother the hairs on the back of my neck. This is Rod Stewart's equivalent of Elton John's "Leather Jackets". Comfortably one of his worst.